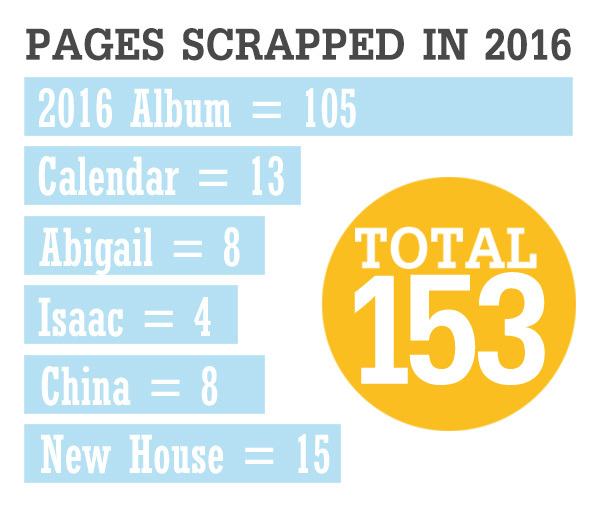 Scrapping with Liz: 2016 Pages Scrapped and What's Comin' in 2017! At the end of the year I like to take a look and see how many scrapbook pages I was able to complete during that year. It's always fun to see what I was able to accomplish. This year I completed one album (our 2016 family album - the family album is always top on the priority list for me), and a 2017 Calendar. I also got a good start on scrapping our new House. I'm terribly behind on Abigail and Isaac's Album. Once they came home all extra scrapping went out the window, but we are getting into a better routine and one of my big goals for 2017 is to complete their albums. Since I've been doing this a few years it's easy for me to compare each year. I was actually up this year by 16 pages! I love seeing that total there. 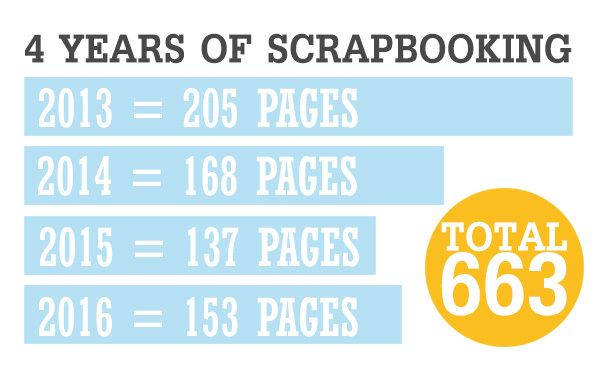 663 pages scrapped since 2013! That's a lot of memories to look over. Now for a little blurb about what I have coming in 2017 as far as Scrapping with Liz templates go. 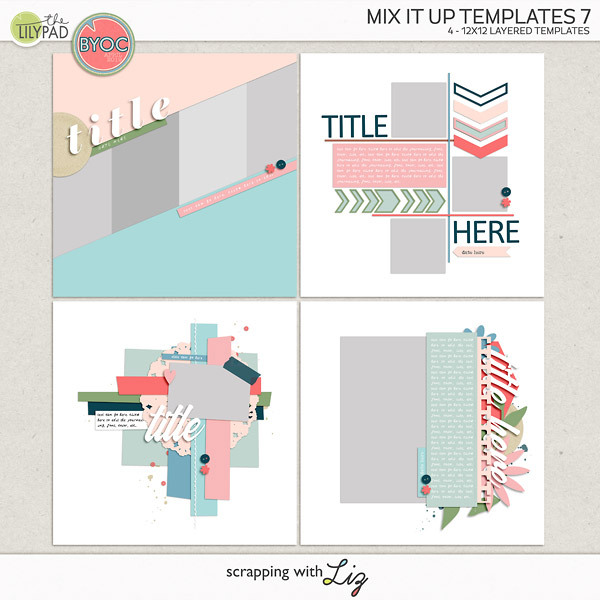 I'll be continuing my weekly double page templates each month. My first set (My Life Templates 1 -2017) just released this week. I'll also be creating 2018 calendar templates that I'll be releasing each month so that you can scrap a calendar throughout the year and have it ready to print at the end of the year. I've done this for two years (check them out here and here), and I love this approach. Easy and stress free. Then I'll be continuing my monthly review templates so you can easily put together monthly review pages. Those will release towards the end of the month. I'll also have a sprinkling of other templates releasing throughout the month. Tracy will continue hosting a monthly MIS (Make it Snappy) over at the Lilypad on the 1st Saturday of the month. 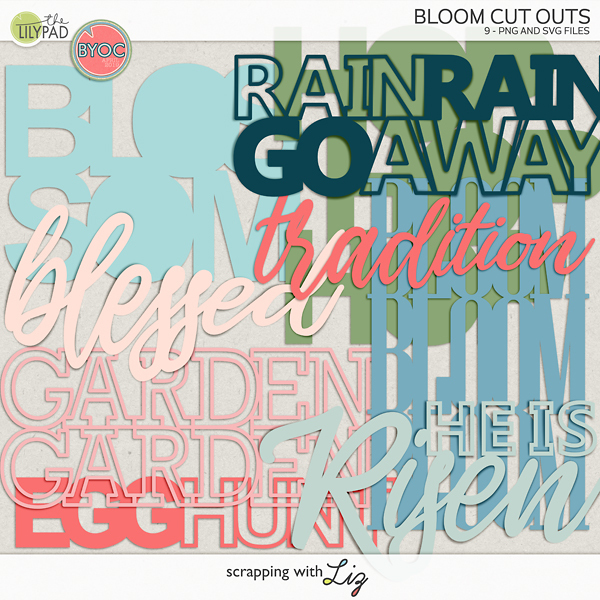 Kimberly will continue hosting a monthly challenge here on the blog. Both of these challenges will have FREE templates from me. 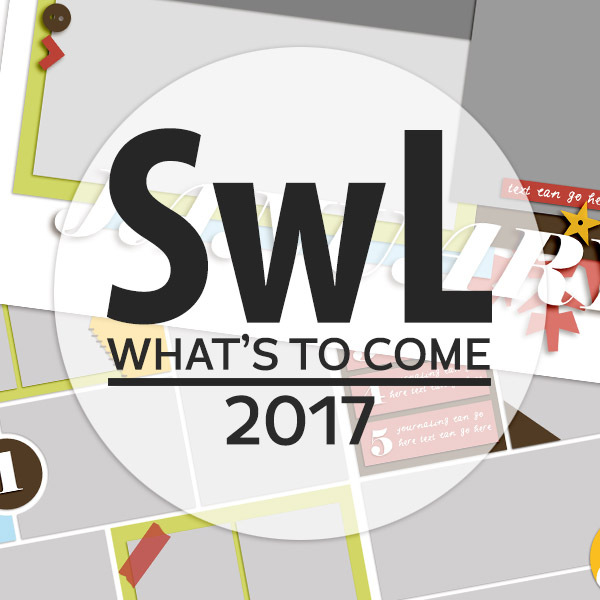 Then in my SwL Facebook group I'll continue my Quarterly Template Challenge. I'm really looking forward to 2017! Happy New Year!